1.1 UNIT 11 DAY 1 - Melodic Phrases and Melodic Cells. 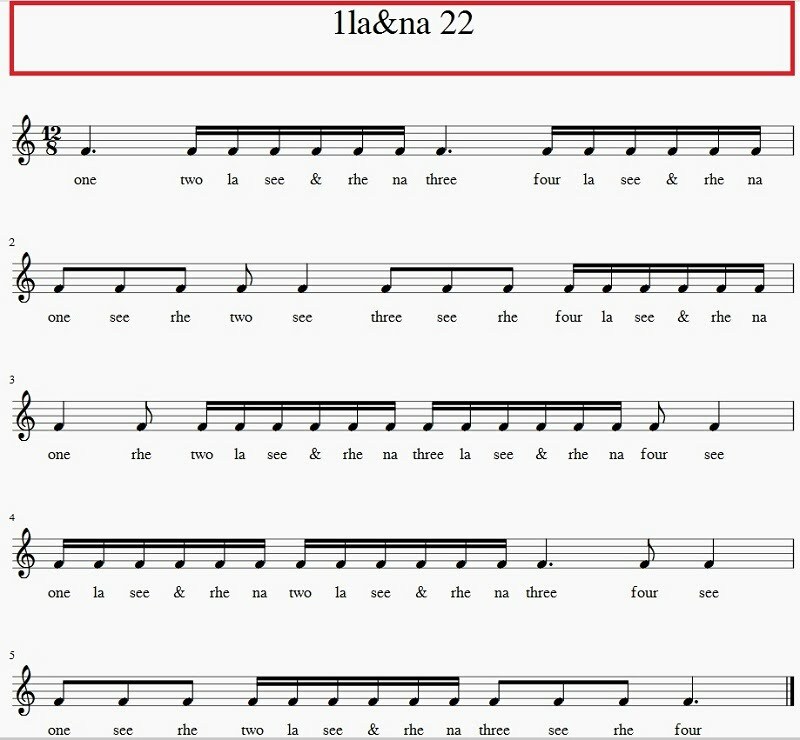 1.2 UNIT 11 DAY 2 - Range of a Melody. 1.3 UNIT 11 DAY 3 - Vocalization and pronunciation of a song. 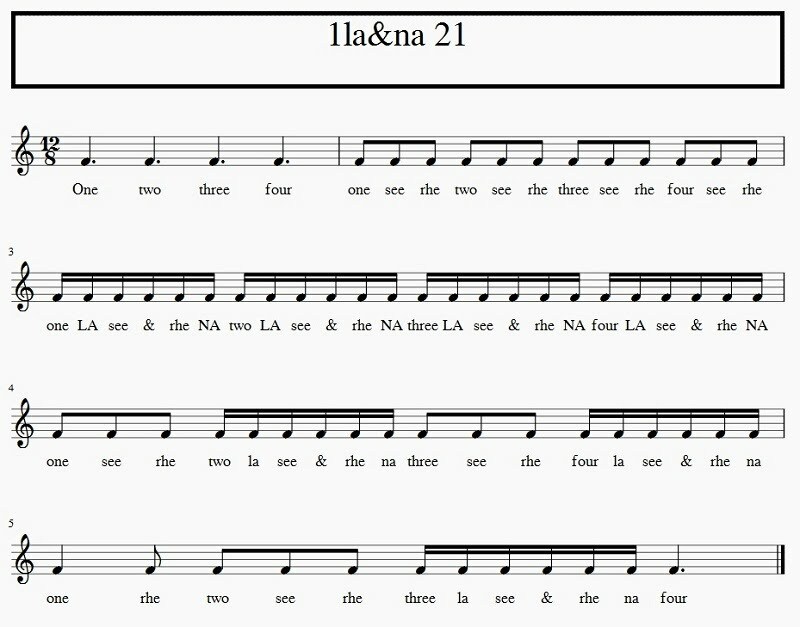 1.4 UNIT 11 DAY 4 - Classification of Melodies considering its ending. UNIT 11 DAY 1 - Melodic Phrases and Melodic Cells. ① What a Melody is? It is a Musical phrase. ② What are the elements of a Melody? We use the term melodic line to refer to a Musical phrase. 'Twinkle, twinkle Little Star' Melody (without armonic accompainment). A melodic line can be straight or curvy, with big jumps or small intervals. The melody is the composer's signature mark as his personal imprint. The elements that compose a melody are rhythmic and melodic cells. 'Twinkle, twinkle Little Star' Rhythmic Cell. 'Twinkle, twinkle Little Star' Melodic Cell. Descending triads with suspended fourths. UNIT 11 DAY 2 - Range of a Melody. ① What is the Range of a composition? The notes of a song in ascending or descending correlative order. ② In an easy song, what range can we find? Between a Sixth and an Octave. ③ Options a musician has after playing the first note. Repeating it, playing a higher note or playing a lower note. The range of a song is like the tessitura of the human voice. 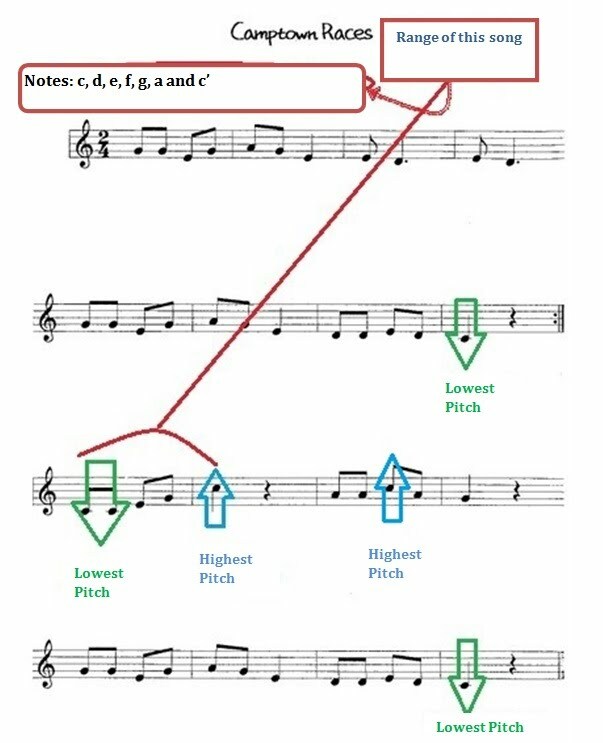 It ranges from the highest note of the melody to the lowest or vice versa. Then the notes of a melody are disposed in ascending or descending consecutive order. In the case of a melody as Camptown Races the range would be from Middle C to the C an octave above (skipping the B). It is better to limit the range of the melody to avoid creating a difficult song to almost impossible to remember. A simple song usually finds its range in an approximate scope between a sixth and an eighth (eg, Camptown Races, as seen in this score). When a composer writes a melody is as if he or she is pulling a threat. 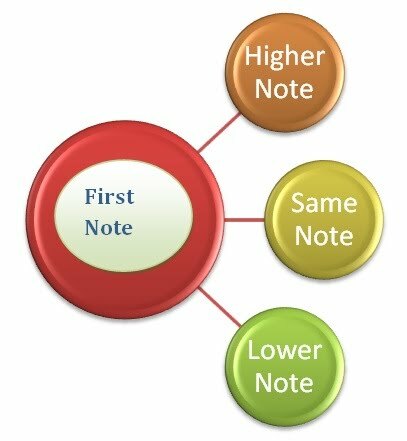 Once we have the first note there are three options to continue it: repeat it, play or sing a note higher than the other or playing a note lower than the first. UNIT 11 DAY 3 - Vocalization and pronunciation of a song. ① What is the Vocalization? Is to give precise intonation, pronunciation correction to the lyrics and sense to what is being sung. ② How a singer performs a piece in a language he or she does not know? Memorizing the pronunciation as similar to the language in which he or she must sing. The vocalization is as important as singing properly the melody. 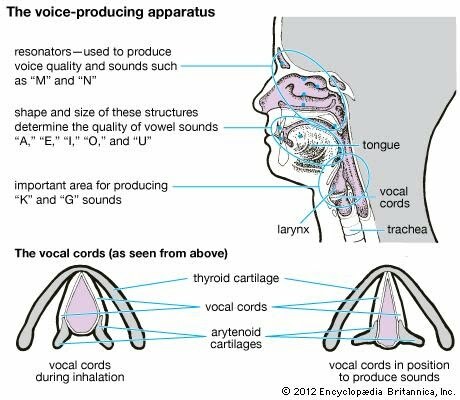 Vocalization is to give precise intonation, correct pronunciation and sense to what is sung. A singer should pronounce correctly the lyrics and try to give 'life' to the song. A singer can also perform a song in a language unknown to him or her and therefore diction should not be neglected. To achieve this, he or she must memorize the pronunciation as similar as possible to the language in which it is composed. Ascending Triads with suspended second. UNIT 11 DAY 4 - Classification of Melodies considering its ending. ① Classification of Melodies considering the way they end. If the Melody ends in tension, it is called 'suspended Melody'. If, however, it ends in a Tonic chord, it is a 'conclusive Melody'. 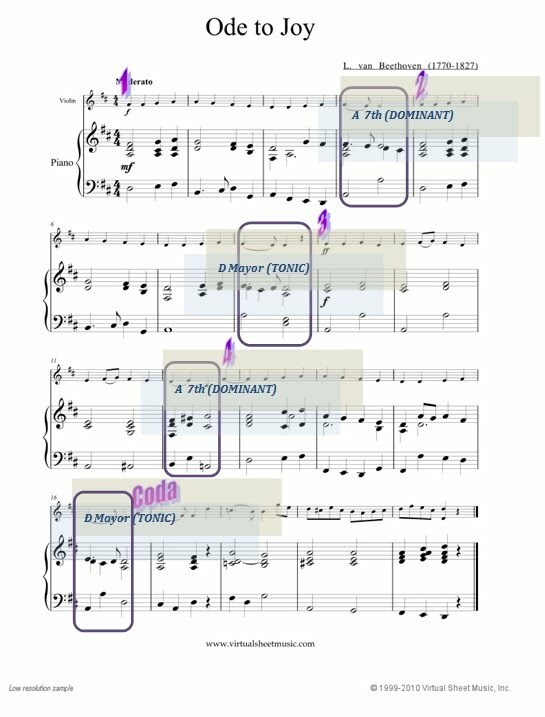 ③ Parts of a Melody. We call Protasis to the beginning of a Melody and Apodosis to its end. The melodies can be classified according to their ending. If it the ending remains in tension, we call this 'suspended melody'. If, however, we find a tonic chord at the end, we have a conclusive melody. We can also find parts within a melody, something like the phrases that make up a meaning-complete sentence. At the beginning of a melody in two parts we call it Protasis and the end is called Apodosis.